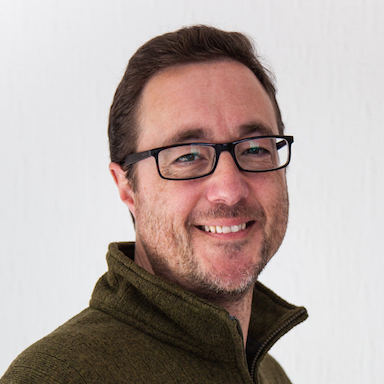 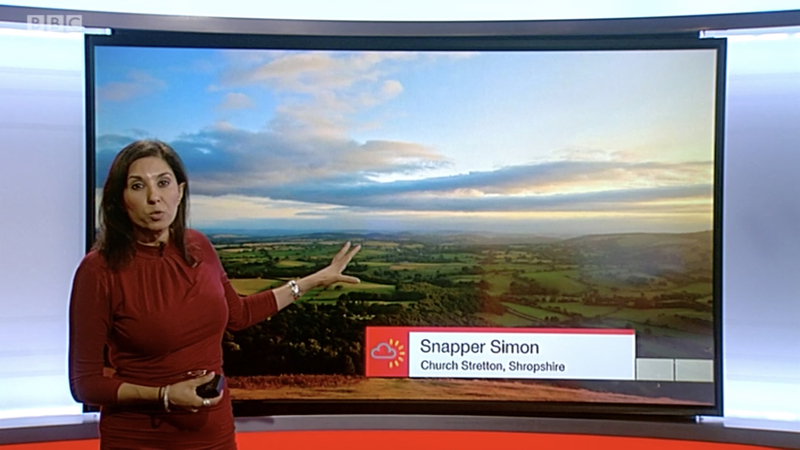 “It was definitely a Snapper Simon photo,” he confirmed, then continued on his way. The surreality of it though came from the fact that I knew not who this gentleman, was, yet somehow he knew me as Snapper Simon! 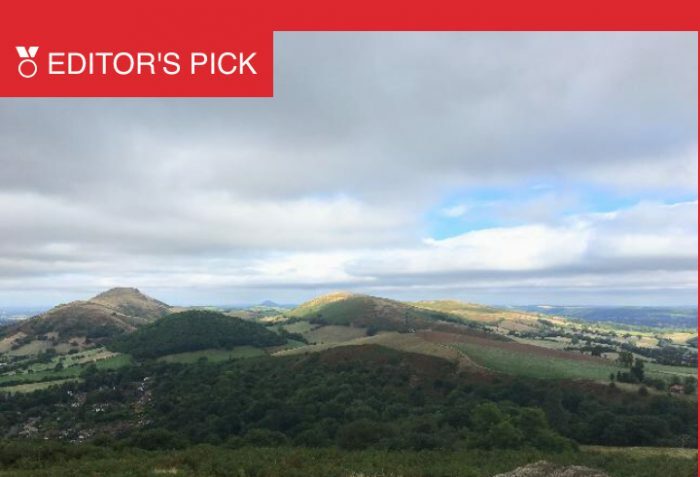 Anyway, I went home and did some investigating, and yes – I found one of my photos from the day before had been selected as an Editor’s Pick … and then, eventually, I found it being used on the national weather broadcast. 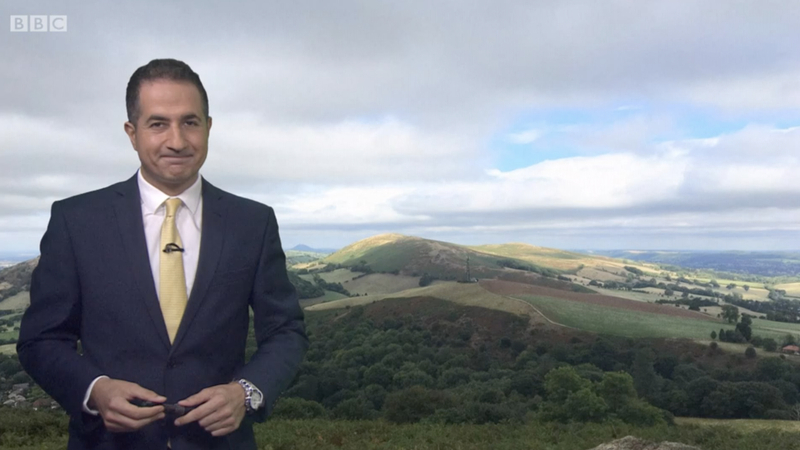 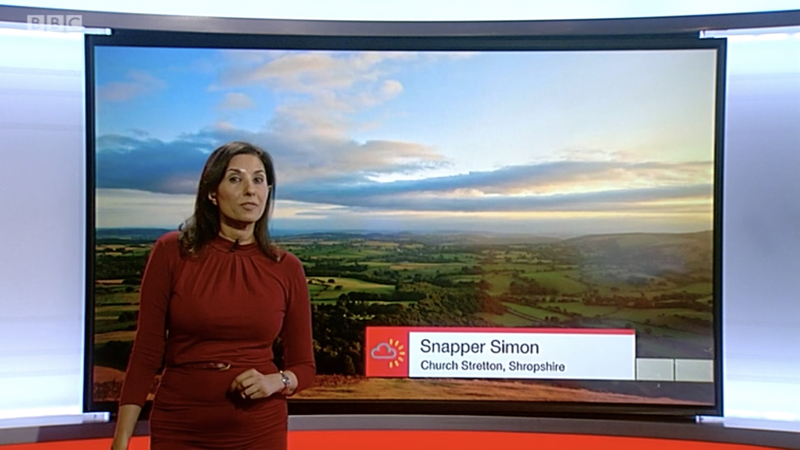 So I was, therefore, a little surprised to spot Shefali using another one of my images from earlier this evening, on the late night regional weather forecast … although the sunlight over the South Shropshire hills was absolutely glorious.